The simple tool that will change everything. In a recent conversation with a dear friend, we got onto the subject of what happens when people are hurting. My friend is a yoga instructor and her local community recently lost a prominent teacher to a drug overdose, which has spawned important conversations about mental health and community support. Pulling example after example from our own lives, we lamented the frequency with which friends and loved ones unwittingly add to rather than relieve the pain that life’s challenges can usher in. 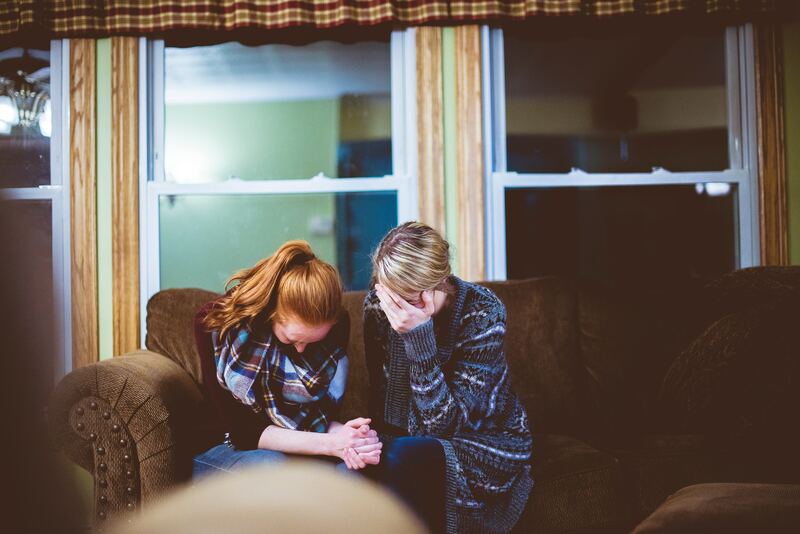 When someone we love is hurting, it can be incredibly difficult to know what to say. The circumstance in which they find themselves may trigger our own big feelings, which can make the task of being supportive even more difficult. Sadly, many people find themselves isolated during their biggest challenges because the people around them don’t know how to help, and don’t wish to make things worse. Let that sink in for a moment as you recall a time when things were difficult and you needed the support of those around you. Here’s why this phrase is so powerful. Whether your friend’s experience triggers pain from your own life, or you’re thrust into problem-solver mode, it’s easy to project onto someone we love who is hurting. We want to be able to take their pain away. We want to understand why this happened, or to help them see possible solutions. We may feel protective or we may feel stumped and helpless. All of these things, even if intentions are the very best, carry a high risk of burdening someone who is already suffering. This happens because these motivations are as much about us as they are of our friend in need. In fact, sometimes when people are suffering great pain they will hear criticism and judgment where none is intended and this can not only add a burden, it can harm relationships. You’re offering empowerment without being pushy. By asking a person how to love them best through their difficulty, you reinforce several important things: This person is deserving of love, your primary focus is on their well-being, and they have the wisdom to know best within themselves what they need. Of course it’s entirely possible that they will say they have no idea how best to be loved, but likely, if you ask the question and then resist the temptation to take up more space with your words, something will come. You identify yourself as part of a real support system. Feeling lonely and isolated has been shown time and time again to be fatal to humans. Our ability to survive and thrive in infancy, as well as our life expectancy, are impacted by how well-connected we are. By offering an open-hearted, gentle, and person-centred question to someone who is hurting, the sense of support and connection will improve the person’s fundamental state of well-being. It may not show up right away, but it’s a powerful act and what more could we want for our loved ones. The follow-up is, of course, that when the person answers you, believe them. Make sure the person knows that if an answer comes later, you still want to know. If the answer changes, you want to know. Just be available and really do love them as they’ve asked. It may mean giving them space and radio silence until they make contact (this was once what I desperately needed from my loved ones and for those who honoured this, I am still deeply grateful). It may mean practical help, or it may mean just listening, or sharing space in silence. It could involve problem solving. The possibilities are endless. What’s important is that you respect the answer. It’s hard when someone we care about is suffering. We don’t suffer alone in this world. By choosing these gentle words, you open the door to real help in what can feel like an impossible situation. We all take our turns hurting. With this mindful tool, we can teach each other true compassion as well.